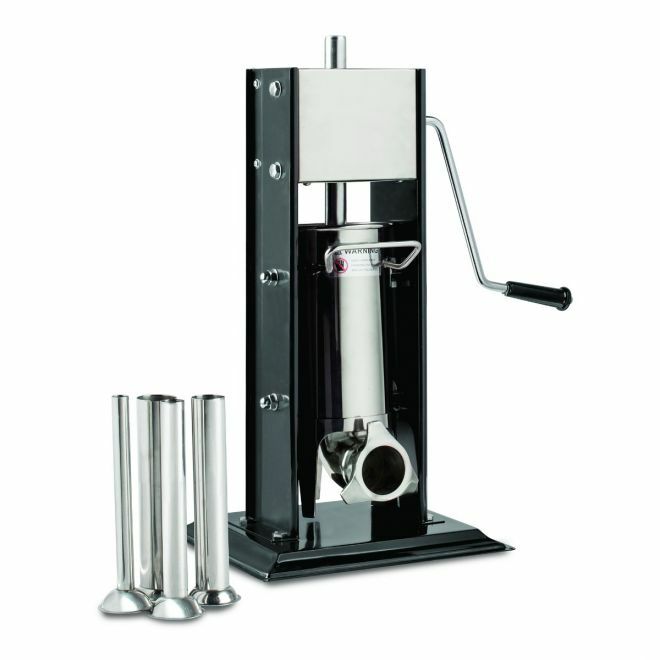 3-1/2"x4" hopper opening which allows you to grind 2-3# per minute. Grinder includes 1 knife, 2 plates (3/16, 3/8), and a stuffing tube. Grinder clamps onto a table.